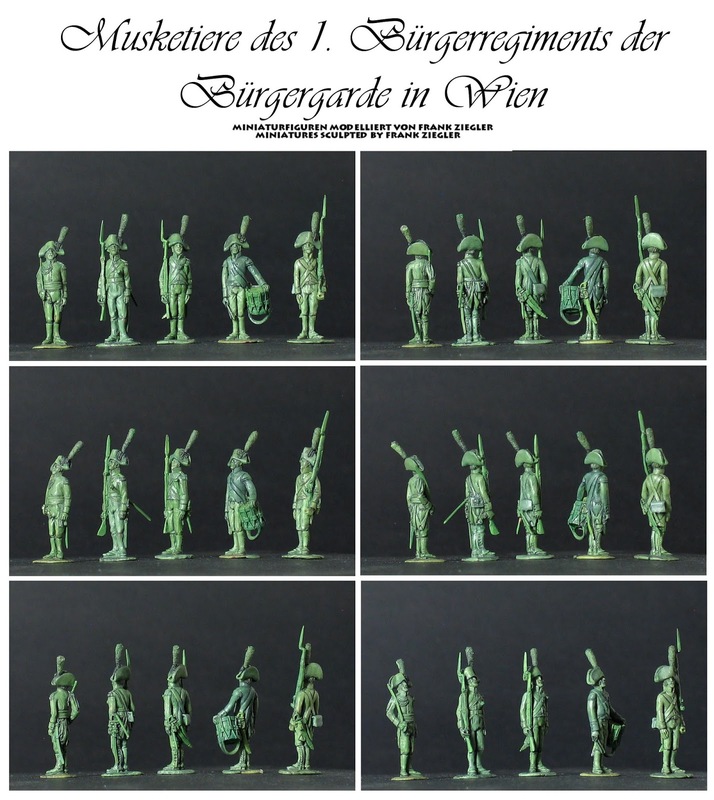 "Since the siege of Vienna 1683 the Austrians had several regular regiments of Militia in their major towns. 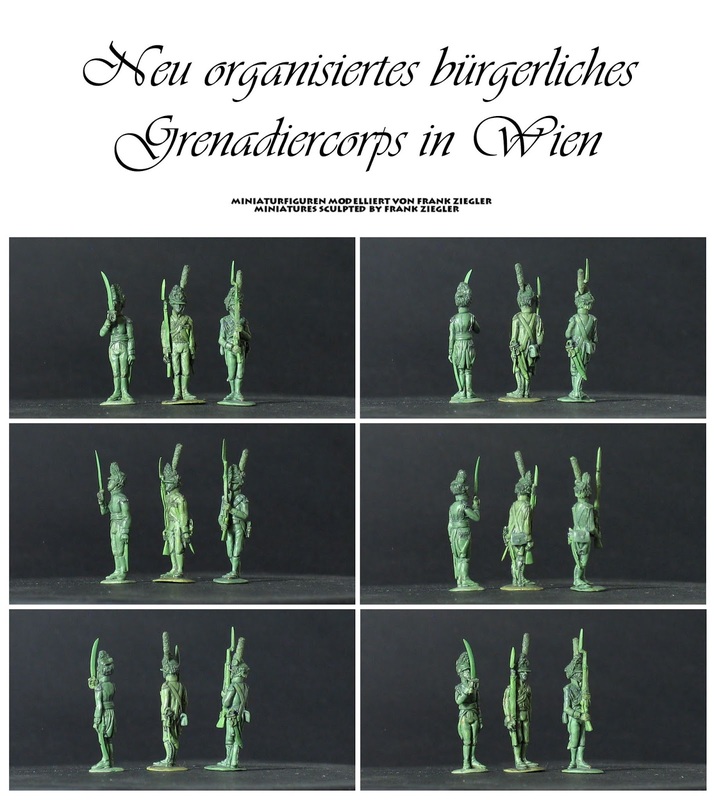 In the time of the Napoleonic wars the town of Vienna had three regiments of Infantry, two of Sharpshooters, a unit of cavalry and artillery….."
Again these 20mm are compellingly good. The sheer volume of sculpts for the unit is impressive. The quality of the sculpting and poses excellent. Good find! 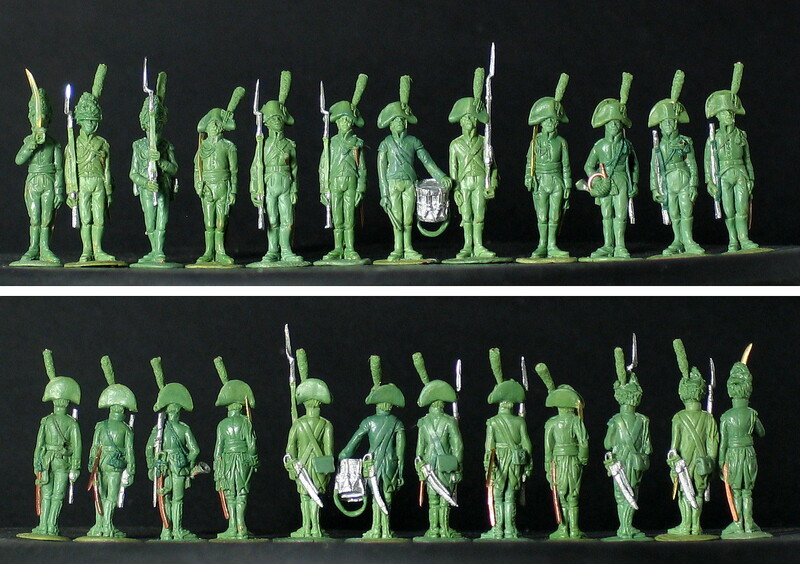 I agree, a lot of miniatures – to make a very nice and lifelike unit – excellent pose selection.